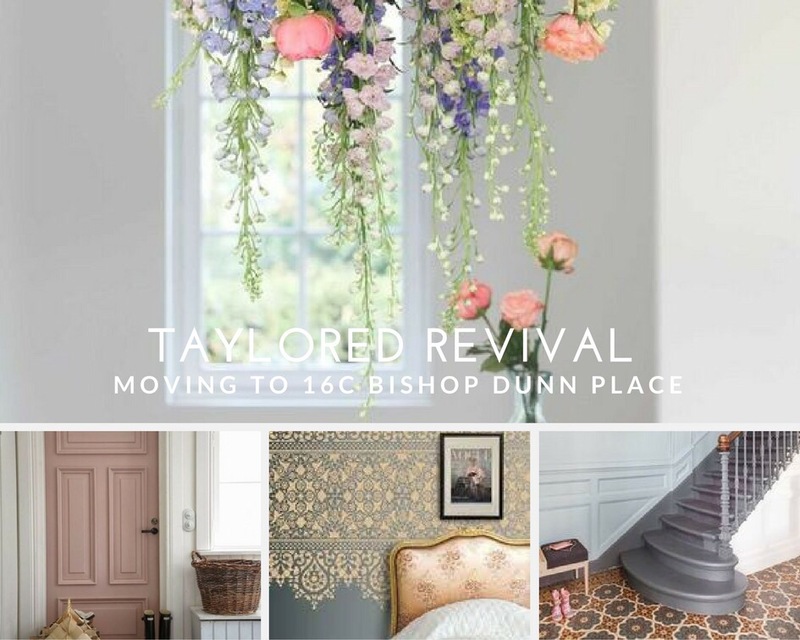 It’s a pretty big claim but this April we will be opening the doors to our new creative space at 16c Bishop Dunn Place. 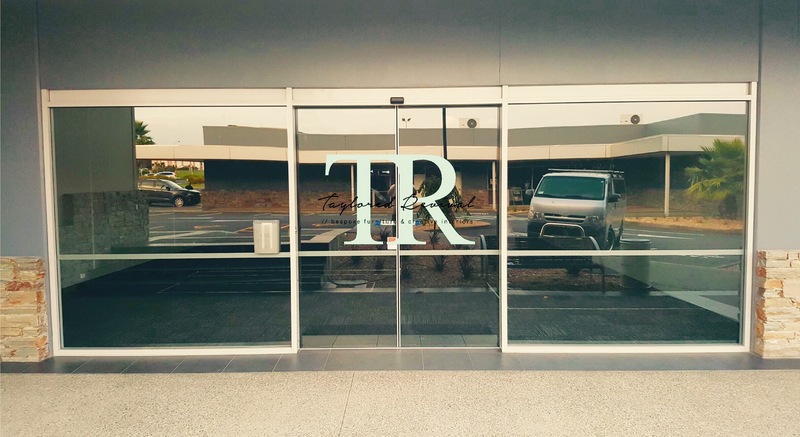 Over the last few years we have been building our creative business alongside our loyal customers who have also helped to lead the direction for TR. The utopia for us has always been to create a visually stunning and inspirational creative space for our customers to walk through, a more refined more inclusive creative space. 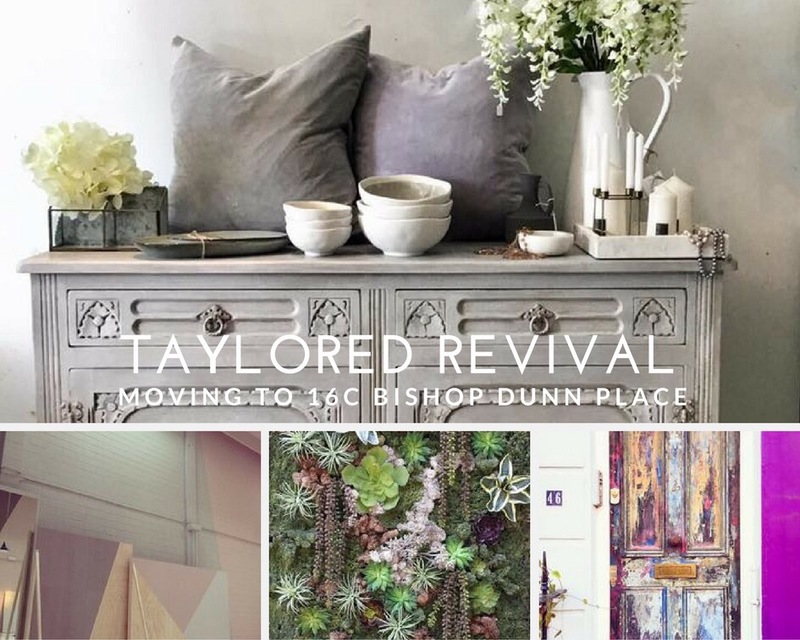 A lot of our customers often refer coming to Taylored Revival as a “unique experience” in fact we had a customer the other day saying that it’s like walking into a “creative institution” where everyone is incredibly passionate and full of ideas about how to transform things” It is these elements that we want to take with us , make bigger and focus on in our new space. If you have been into our Howick store in the weekends you will understand when we say that we have run out of space, even after extending the back area of our store. Some days it is near impossible to move in, out and around our shop so although we have loved Howick and this has been our second home in the last year and a half, it is time for us to make the move, it is only down the road to Botany and we know that our existing and new customers will just love what we have in store for them in our new creative space. With close on 300 square meters it is more than triple the space that we have now. It will allow our customers to browse and linger within our furniture gallery at their own pace and really take in the reality of endless possibilities when it comes to Chalk Paint™ & Creative interiors. A place where you can sit down and read inspirational books and magazines. Our Paint Studio will be a designated area in the middle of the gallery floor where you can watch us paint, work on our projects and see it all in action. A place where creativity is encouraged, where you have the freedom of colour and the mind is explored to know no limits when it comes to creative interiors. You can look forward to being inspired through various settings and stories showcasing how Chalk Paint™ can be used in NZ homes. Our Chalk Paint™ area will double in size with two paint bars so that we can service our customers better. We will extend our range of handles, hardware and lighting. New and bespoke product lines and ranges are all in the works at the moment and will arrive to our new store to give you even more options when it comes to completing your bespoke “creative interior.” We will have the space and continue to hold and run more Creative Chalk Paint™ workshops and continue to spread the love and passion for what we do. The goal is to create one large bespoke creative interior space, done and presented in a way that we believe none of our customers have ever seen before. 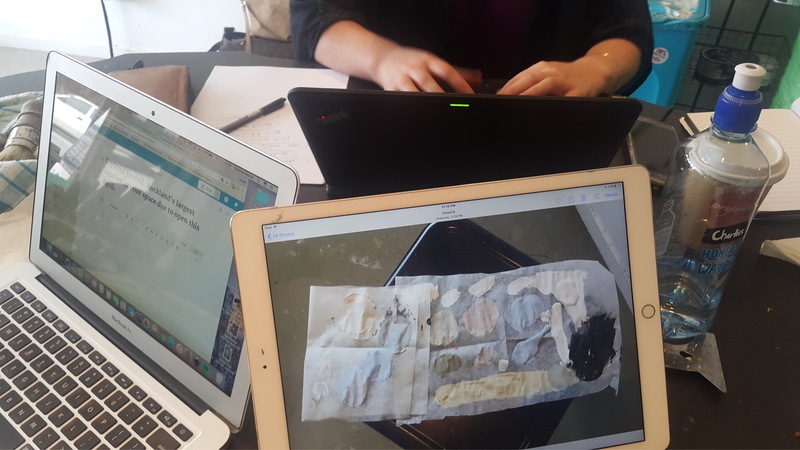 We have so many wonderful ideas and some amazing things in store for you and we can’t wait to open the doors. In the meantime, work has now begun with our new space with the Carpets having now been ripped up, the glue on the concrete sanded ready to be painted in Chalk Paint™, 300 sqaure meters of complete blank canvas to be given the ultimate Taylored Revival…There is a lot of work ahead of us, but we are rearing to go. You can expect to see Chalk Paint™ on the floors, decorative walls in Chalk Paint™, stencilled floors and of course our bespoke furniture pieces. We have another container of antiques on it’s way and this time we will be showcasing all of it on the gallery floor. We want to create a fully interactive unique shopping experience from the moment you walk in; you are transported into the TR journey. 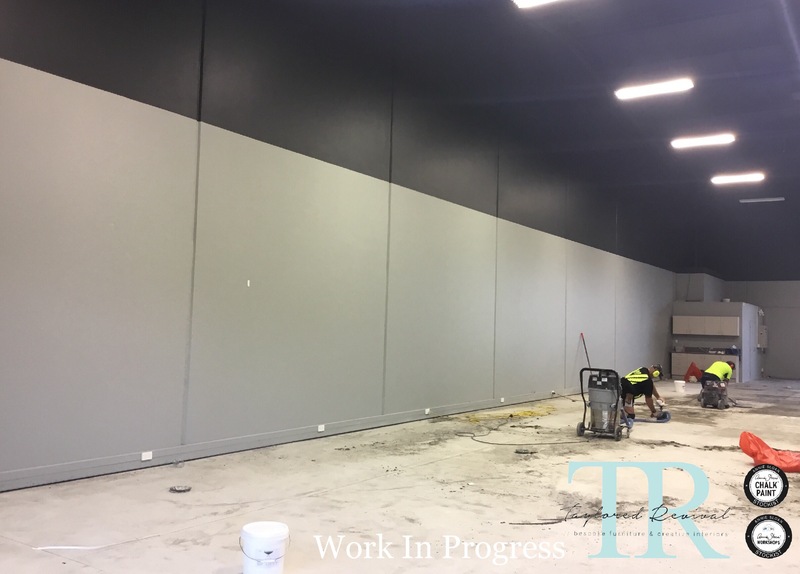 We are looking to transform our new space in under 4 weeks with little to no interruption to our trading hours and will be documenting the progress as we go. 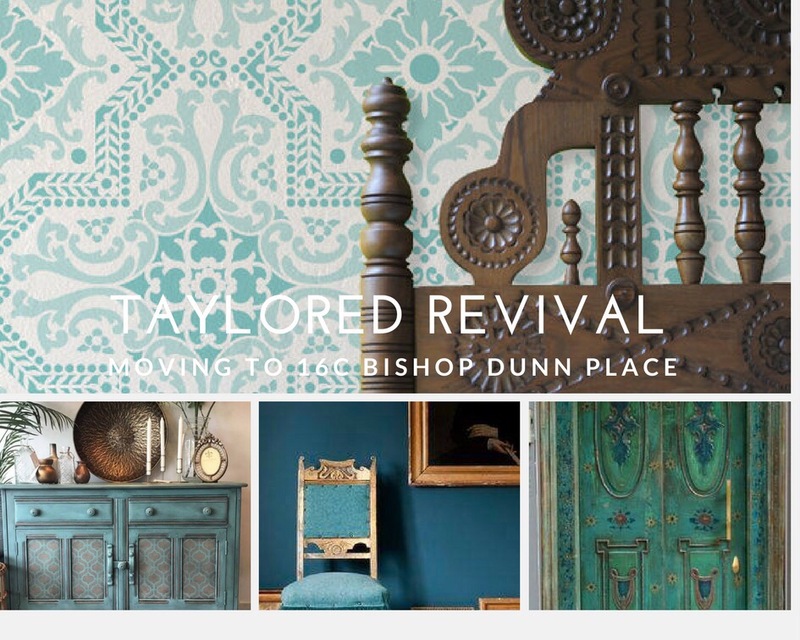 Follow us on our blog or Facebook to watch this space revived completely in Chalk Paint™ by Annie Sloan. We are looking to open the doors on the 9th of April but this will be confirmed as we get closer to the date. 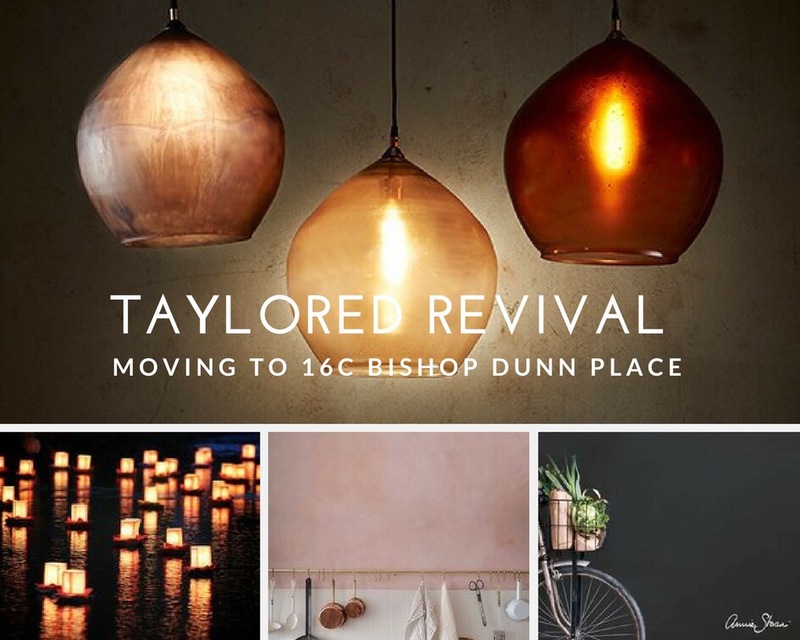 We look forward to working like busy bees, opening the doors and inviting our customers to Aucklands largest creative space at 16c Bishop Dunn Place Botany, (near mitre 10 mega & across from Kitchen Things and Columbus Coffee). Omg can’t wait, feel excited and inspired just reading about it. Congratulations to you all. Can’t wait to see it and so close to me. Exciting news, I’m tingling with anticipation to be inspired with colour.